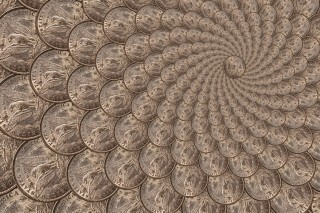 Why Are Carson City Morgan Dollars So Popular? Morgan silver dollars are one of the most popular U.S. collector coins around, which is a fact made evident in this list of the top 25 most valuable Morgan dollars that were sold on eBay in June 2015. The most expensive Morgan dollar on this list traded hands for more than $12,000 – a large sum of money for any coin. When the top 25 most valuable Morgan silver dollars crossed the virtual online block at eBay in May 2015, the list of top-sellers included a number of rare coins, such as the 1893-S and 1894 as well as a variety of scarce Carson City Morgan dollars. Amazingly, the most expensive Morgan dollar that was sold on eBay in May 2015 sold for more than $11,000. Morgan silver dollars are very popular with coin collectors and investors, and they consistently rank among the most valuable coins commonly traded on eBay. In April 2015, the 25 most valuable Morgan dollars sold on the online auction hub all sold for more than $4,000 each, indicating the activity for these classic silver coins is white hot. The top 25 eBay Morgan silver dollars sold on eBay in March 2015 represent a wide array of perennially popular keydates, semi-keys, and high-end common coins. The most expensive Morgan silver dollar that traded hands on eBay in March 2015 sold for more than $20,000. Even the 25th most expensive Morgan dollar went for nearly $4,700, which helps to show the incredible strength these coins have in the numismatic market. The frenetic nature of the Morgan silver dollar market is one reason why the prices for these coins are so robust. The most expensive Morgan silver dollar sold on eBay in February 2015 brought in a tremendous price – far higher than the 1903-S Morgan dollar that traded hands via eBay for $9,999 the previous month. This month’s top-priced Morgan dollar sold for more than $30,000! Of course, as many silver dollar collectors know, the Morgan dollar series, which was designed by George T. Morgan and ran from 1878 through 1921, is full of heavy hitters. The first report on Morgan silver dollar sales on eBay during 2015 shows busy activity, as usual, for this popular coin series. Going into the first month of the year, it seems the Carson City silver dollars have been dominating the most expensive listings, as can be expected. However, the top two Morgan silver dollars weren’t minted in the 19th-century silver bastion of Carson City but, rather, the Gold Rush mecca of San Francisco. We have the latest sales figures for the Top 25 Morgan silver dollars that were sold on eBay in December 2014, and the data show some especially huge prices were paid during the month. Perhaps Santa Claus was filling the stockings of some very good coin collectors, because this list of the top-selling Morgan silver dollar coins from December is mainly comprised of high-value key dates. 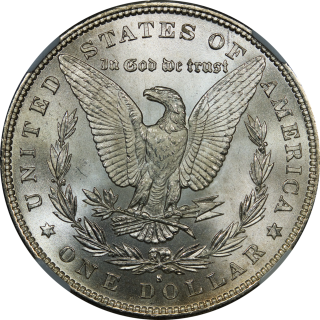 In fact, the top Morgan dollar on eBay in December sold for nearly $20,000 – that’s an impressive figure for eBay coin sales. Morgan silver dollars are always a top seller on eBay, the most popular online auction site around. In November 2014, some very rare and expensive coins crossed the virtual auction block. 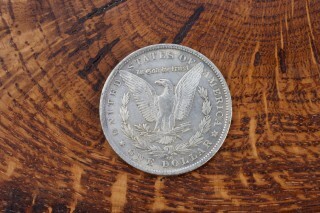 In this post, we’ll check out which ones were the most expensive Morgan silver dollars to sell on the site that month. 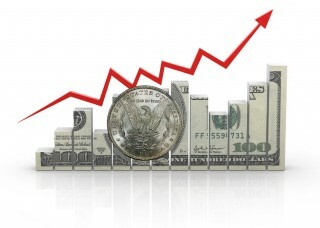 There are many silver dollars for sale, as coin investors and coin collectors alike look to cash in on the recent activity in the silver bullion market. 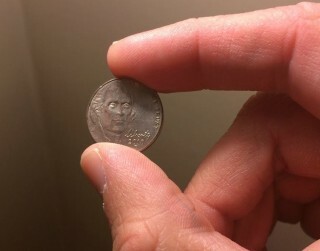 Of course, it seems that plenty of silver dollars are always available – Morgan silver dollars and Peace silver dollars most especially. 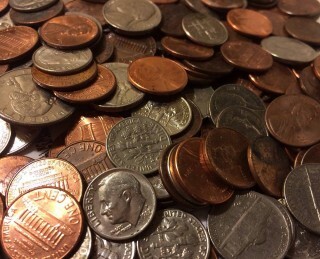 Whether you’re seeking individual silver dollar coins for sale or want roll quantities (20 silver dollars come to a roll), or even if you want bags of silver dollars, you won’t have a hard time finding the coins you’re looking for. 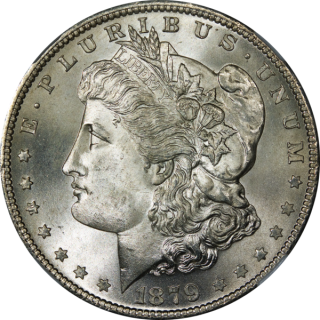 This roundup of Morgan silver dollar prices from eBay during the month of September 2014 reveals some big prices for several scarce key dates. The collector market is perennially strong for Morgan silver dollars. Morgan dollars are a perennial favorite among coin collectors, and sales figures on eBay from January 2014 tell the story – Morgan dollars remain as popular as ever. The eBay online auction site saw a lot of action in January surrounding its Morgan dollar offerings, with hundreds of pieces closing in the four-figure range, and two specimens pulling in more than $10,000 each.